My heart bleeds . . . .
On the twentieth day of May, this is what the flower garden looks like! 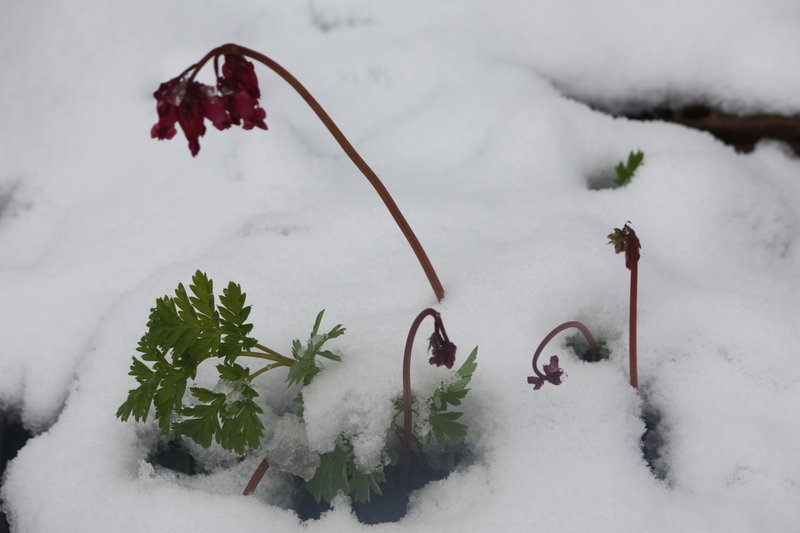 This delicate Bleeding Heart looks a bit bedraggled after several days of rain, cold and now snow! We love the moisture and know we are assured a tremendous grass crop this spring, but oh the mud. The barnyard is impassable, Tilly’s corral is a lake and as we approach Memorial Day, I am beginning to rethink my annual tradition of pots of fresh flowers on family graves at the cemetery is a fool’s errand. “Can we check out of here?” . . . .
With the outside temperature of 25 degrees last night, I am glad we hauled them into the dining room. They were in a corner on the front porch, covered with burlap against the cold, but Rosie found it an irresistible location to make a warm bed. The flowers were flattened, and if that wasn’t enough injury, the kittens decided these pots were a nice litter box and dug up a few plants before I waved a broom to shoo them away. Determined not to give in to plastic flowers, I will somehow deliver these pots to honor three generations of my family buried nearby, but the challenges presented this year are a bit exasperating. 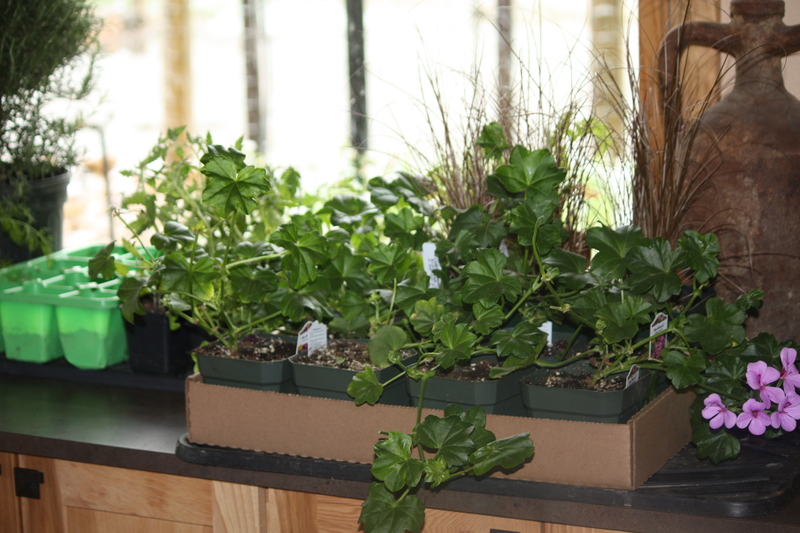 The in-house greenhouse . . . .
Tomato plants, geraniums for hanging baskets, pots of morning glory seeds fill the counter top in the dining room. 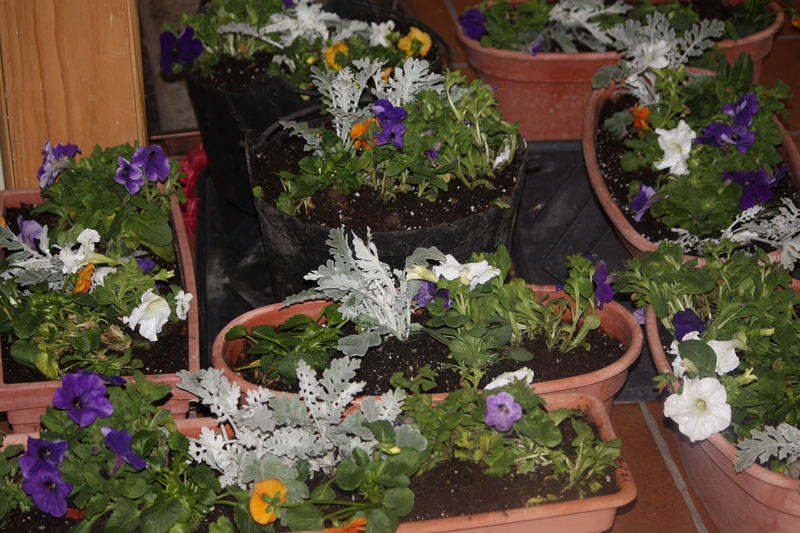 At the rate we are going, it will be July 4 before any of this gets safely planted outdoors! 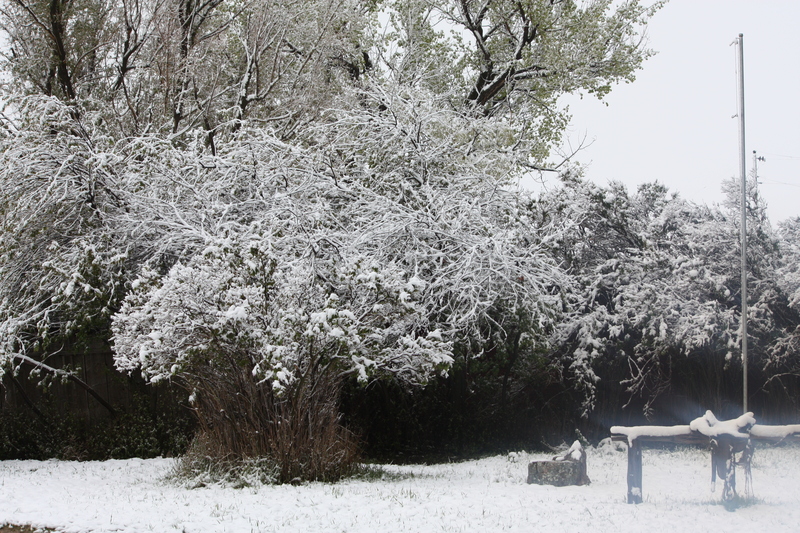 The garden is covered with snow and the early crops of peas, spinach, beets, kale and lettuce are barely visible. The weatherman keeps talking about “cool Canadian air” and I am beginning to wish it would stay in Canada. Looks like snow . . . . The trees have young leaves that collected lots of snow which is now falling in clumps, making a thudding sound on the roof of the house that at first sounded like distant thunder. Egad. This entry was posted in Working by bygeorge. Bookmark the permalink.